Zosia's big news gets a mixed response and her situation is further complicated when a colleague from the US turns up. 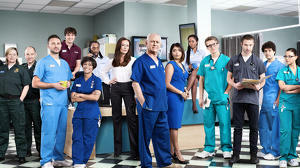 Sacha is rattled when an old flame appears on the ward with their ill and suffering partner. Following an incident with protestors, Jason refuses to leave Hanssen's office until his demands are met.